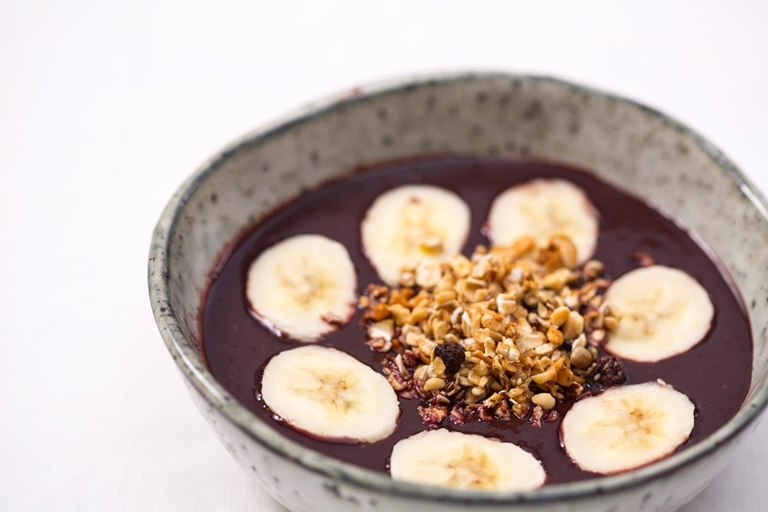 Kickstart your day with Marcello Tully’s hearty acai berry breakfast bowl recipe. Acai berries have a wonderful tart flavour and are packed with antioxidants. To ensure the breakfast bowl is refreshingly chilled, Marcello freezes the acai berry purée before blending.